The women and the law section of the Delaware State Bar Association celebrated 95 years of women in the Delaware bar and U.S. Supreme Court Justice Ruth Bader Ginsburg was presented with an honorary lifetime membership to the section. 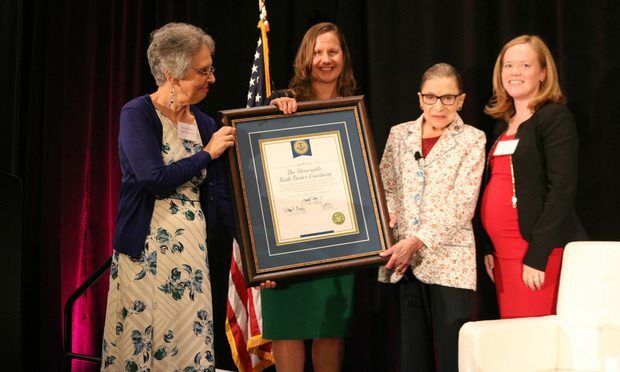 Last month, the women and the law section of the Delaware State Bar Association celebrated 95 years of women in the Delaware bar and U.S. Supreme Court Justice Ruth Bader Ginsburg was presented with an honorary lifetime membership to the section. Bayard attorney Sara E. Bussiere was selected to participate in the 2019 Federal Trial Practice Seminar.